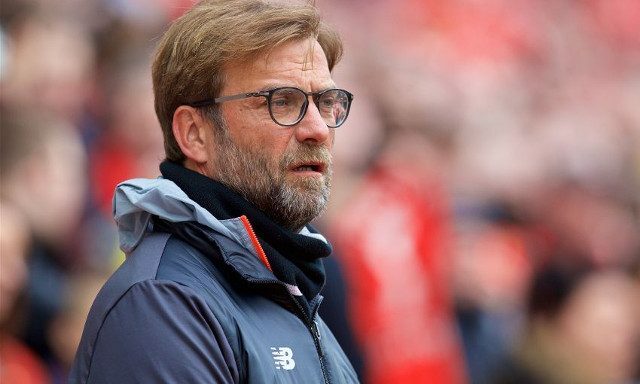 It promises to be a monumental effort between now and the end of the season for Liverpool as fitness problems continue to give Jurgen Klopp selection dilemmas. Injuries to Adam Lallana, Jordan Henderson and Sadio Mane have somewhat disrupted the team’s shape and forced Klopp to rethink his strategy, as evidenced by his use of a back three in last weekend’s 2-1 win over Stoke. Roberto Firmino’s fitness has emerged as the latest concern with Klopp’s assessment of the Brazilian hinting that he might not start in Sunday’s game against West Brom. The German did however provide a positive update on Philippe Coutinho who, like Firmino, started on the bench against Stoke. “Phil absolutely, but with Roberto I would say we still have to manage,” Klopp said. “I know how it sounds when I tell a player ‘play the whole game’ and I say he was really ‘done’ after the Bournemouth game then it’s ‘professional, money and all that’,” Klopp told the Liverpool Echo. We fully expect Firmino to play some part on Sunday and hopefully that does turn out to be an entire game. That said, his emphatic winner last time out demonstrated what kind of impact he can have off the bench. His possible absence could hand Daniel Sturridge a valuable opportunity to play a role having also looked sharp in his 20 minute cameo against Stoke. The striker looks set to leave Anfield in the summer yet there remains the feeling that he can still make a significant contribution to Liverpool’s push for a top four spot.